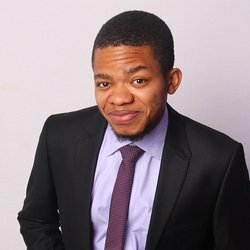 A Nigerian, Ifesinachi Nelson Ezeh, has beat Russian records for being the first and the only African to graduate with CGP 5.0. He the won international acclaim for finishing his Master’s degree at Saint Petersburg Agrarian University in Russia with distinction and for his edge-cutting research in Agronomy. His feat earned him a Ph.D scholarship. HANNAH OJO writes on the exploits of the youngster whose aim is to tackle the food crisis in his fatherland. Ifesinachi Nelson Ezeh, a 26-year-old Nigerian, has dazzled Russia with his brilliance. The Nsukka, Enugu State-born student finished his Master’s degree in Agronomy at Saint Petersburg State Agrarian University, graduating with a Cumulative Grade Point Average (CGPA) of 5.0 – the highest Russia has ever recorded. Ifesinachi’s feat was celebrated by Russians during the university’s graduation. Russia’s Ministry of Agriculture and the school leadership showered encomiums on him, praising his dedication to quality research and academic excellence. His journey to success started from a newspaper in 2008, when he read about a scholarship scheme to study in Russia. Then, he had just enrolled at the Nigerian College of Aviation Studies in Zaria, Kaduna State. But, Ifesinachi forfeited the admission for the scholarship. According to him, his father got the information about the scholarship and encouraged him to apply. The scholarship is a bilateral agreement between Nigeria and other countries, including Russia, Cuba, China and Libya.